If you are not familiar with hola Netflix VPN, you might be living under a rock. It was the savior of people living outside of the US. It was the source that let US shows on Netflix be available all around the world. It is unfair how the US residents have access to so many amazing shows and movies that the rest of the world is deprived of. Hola Netflix VPN was the bridge between this discrimination. However recently, Netflix stopped working with the Hola. It put a lot of people into a state of misery. But your worries may end now. We will guide you through everything you need to know in such a devastating situation. You might be seeing certain error codes on your Netflix if you’ve been trying to log in with hola. Here is an explanation of some that you might have encountered. 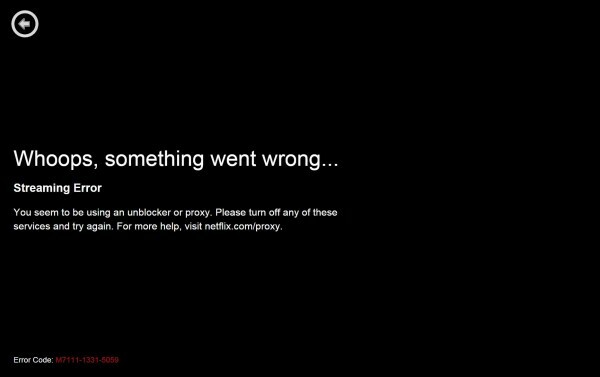 If you see this error, it means that Netflix has detected that you’re accessing the app or website through a VPN or an unblocker service. You won’t be able to stream shows or movies with this error. This error is seen by computer users when they are using a VPN server. Once again, Netflix will not work in such a case. This error indicated connectivity issues. Netflix detects a slow connection in the case of this error. This error is for Apple TV users only. It indicates that Netflix is unable to play your required show or movie. This error means that you need to refresh your device in order to make Netflix work properly. Hola Netflix VPN worked perfectly. You may be wondering what happened all of a sudden that caused this issue. The thing that changed is the Netflix database. They blacklisted existing IP addresses of VPNs. Among them is the IP address of hola as well. Therefore, although it worked perfectly fine earlier, now it doesn’t. When you visit the webpage or application with the VPN activated, your IP address alters to that of the VPN, which is already on the blacklist. Hence, now you will see error codes mentioned above every time you log in with hola on Netflix. The blacklisted IP addresses also include many other VPNs. If you log in with any of those services, you will be unable to stream Netflix. Are you totally devastated? Do you really want to fix it? Well, we have good news and bad news. Let’s talk about the bad news first so the good news can cheer you up later. The thing is that you cannot solve this issue with the hola. The IP address is blocked and you basically have no control over it. There is nothing you can do to get it removed or somehow access Netflix through the VPN. You will keep receiving the error with no luck in streaming. You have no way around this issue. However, the good news is that you can always switch to another VPN! Well, that sounds pretty simple. Read on to find out what the hard part is. Yes. Hola isn’t the only VPN around here. You can simply use another VPN to access Netflix US shows again. Hold on, it’s not that easy. Hola Netflix VPN isn’t the only service but at the same time, it also isn’t the only blocked VPN. A lot of other VPNs have their IP addresses blacklisted too. That leaves you with very few options to choose. And what’s even harder is the struggle to find a VPN that isn’t blocked already. But once again, we got you covered. Read until the end to find a solution! Now that was a pretty long list. But, there are many more VPNs too. Here are some that you can shift you to access Netflix US special shows even outside of the USA! So, there you have it. These hola Netflix alternatives will not let you miss the blocked Hola anymore.